I fixed it! Woo hoo! Well, I fib, my talented and computer savvy friend Amy Miller and blog maintenance lady, Robin, fixed it, I am just passing the word. What would I, or really y’all do without them?! It’s fixed, it’s fixed, it’s fixed, it’s fixed. CLICK HERE to print. Helpful hints: When referencing colors, I used the term part rather than drop. This is because icing color should be thought of in terms of ratios rather than exacts. For example, if you are after a lighter shade of turquoise, use a larger quantity of icing with the suggested amount. If it is still to dark, add more icing. Alternatively, if you’re after a darker shade of turquoise, use less icing and/or more coloring. If you tint half a cup of white icing with the suggested colors and it still is not dark enough, double the color. This would mean adding 12 parts sky blue +2 parts lemon yellow, or a 6:1 ratio, in other words. Icing color is not an exact science but practice makes improvement. Happy mixing! Hi Callye! I have been reading your blog for a few months, and have started baking/decorating my own cookies! 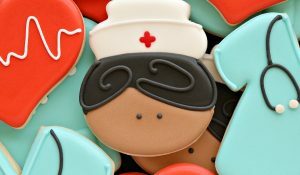 Your cookies are works of art! Question… what brand coloring do you us? Wilton? Americolor? I was trying to print the chart as well but I am only getting the option to print the High Quality one was and I am not a member of Scribd but I did try to sign in using my facebook page like Mary stated, but it doesn’t work for me. You did a great job of creating this chart, but you may want to rethink the naming of “skin tone” – it implies that there is only ONE skin tone, and that skin tone is white. It’s the same reason Crayola renamed their “flesh” crayon “peach”. It’s racially insensitive. I’m just going to thank you for sharing all your knowledge! It still won’t give the option to print without facebook or Scribd acct. No option when you click on ‘print’ for standard shows up. Only High Quality to download and print. although, a thought just occurred to me…I’m using firefox. I’m going to try it in explorer. If it works, I’ll comment again. I can’t print the chart either. Can you email your color chart/charts to me? i have tried both ways and still can not get it to print. Thanks! I am also having trouble printing. Scribed appears to have changed so you must pay to print. Any chance you would email this or post it some other way? Thank you for all your wonderful tutorials and information! is there any way to put this on your blog so we can download it from there, since sribid doesn’t seem to be working anymore? I can’t get it to print either. 🙁 Only getting the option to upload a file or pay to be able to download and print it. Any help? Please sent me your colour chart, so impress, I can’t wait to try it, thamks alot. Not yet. I will post on FB when it is back. I’ve been directed to your site for the Color Chart, but noticed it’s unavailable. Approximately when do you think you’ll post it…Thanks!!! It is on my to do list when I get home. I need to make a few more colors and I will get it back up. This is a SUPER gift. Thank you thank you thank you. I’m not worried about printing just yet….I put on my desktop. Awesome!! Awesome, Callye. I’ve been using the old version that I was able to write on so that I could see the amount of color to add to the icing. Thanks for all you do to make cookiing easier. Thanks Callye!! I’m excited to have this before Christmas & I’m sure wasn’t easy for you to find the time to get this done! Thanks again! 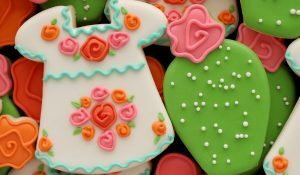 I’m new to cookie decorating & have spent a lot of time reading your posts – thanks for your step-by-step instructions – so helpful! Your cookies are amazing! Thank you so much! This is a marvelous reference! Blessings, Donna b. Thanks for sharing this! I use you’re old one all the time! 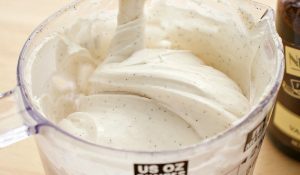 It is truly invaluable for mixing icing. Callye, thank you, thank you, thank you!!!! Thank you, thank you Callye and Happy New Year! Wow!! Thank you, this is exactly what I was looking for. I am having a hard time to get the shades of color that I want. How much would be the amount of icing for this chart???? I found it! Told you my eyes weren’t the best. I found where you linked the new color chart to the page. It’s beautiful! Thank you for doing this for us. Wouldn’t it be nice if Americolor gave you a bunch of gels for supporting them like this? You deserve it! Oh no you didn’t??!!! Just when I thought you couldn’t be more awesome! This baby is getting laminated and hung on the inside of my kitchen cabinet! Thanks Callye!!!!! Hi Callye! How much is “one part” of colour? Thanks so much for this color chart! Something that should be so simple was a real stumper while trying to get some new colors without breaking the bank buying all the shades! Thanks a bunch! Happy Easter! Awesome resource–thanks for sharing!! As always, you’re so helpful to share little tidbits you’ve learned along the way to help out your fellow bakers! THANK YOU!! I am new to this and you make it SO easy for me to keep moving right along…LOVE LOVE LOVE your web site, so addicted to it..
Just getting started in the business. There are just so many people out there that share. Thank you for Sharing. You do realize that “skin tone” is only applicable for caucasians? I have an entire post dedicated to different shades of skintone that you can see here. http://www.sweetsugarbelle.com/blog/2011/04/skin-or-flesh-tone-icing/ There is dark medium and light, and they’re very versatile. How much icing is this chart for??? It depends on the intensity you desire. If you want a dark tiffany blue, use less icing. If you would like a lighter shade, use more. You can also double the color ratio to achieve an even darker hue. Ok, I have a potentially stupid question that I just can’t seem to forget about. I printed your chart and have been using it frequently (thanks, btw!) but I was wondering why you don’t choose to use the Americolor “Navy”, “Avocado”, etc… I noticed you mix your own so I just wondered if there was a reason. Thanks! Hi I have a question. I’m new at this mixsing colors. I was looking at your color chart and I want to know , What do you mean when you say to add one part of one color and two or five part the other color? Love you website. My first time on. Thank you soo much for this awesome colour chart! I am on my way to update my americolor stash, but according to the americolor chart there is no “egg yolk yellow”, only “egg yellow”. And also no “rose pink” but there is a “dusty rose”, are they the same colour? I use a chocolate base icing, then add black. Or if you are just using a small amount of black, I would you the frosting in a tube. I know, not right to use a tube icing, but for a small amount, that is what I do. Thank you so much for all of the work that went into this color chart! 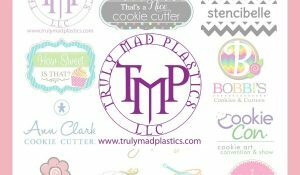 It has saved me time and probably a headache more than once, especially for the Tiffany blue, it turned out just perfect and my client was thrilled. How do we (I) prevent stained mouths/teeth when people eat my cookies? I just did some “Broadway” themed cookies for a sweet 16 bday and the taxi tires smeared everywhere! Also, my “midnight blue? New York sky line…blue teeth! Yikes! HELP, please. You’re amazingly awesome!! Thanks for this chart!!!! Thanks for sharing!!!!!! Thanks for the tips! Your cookies are always beautiful yet somewhat intimidating! Love the fact that you share your talent. Well…really I didn’t have a base quantity. I was kinda going on the idea that you change the quantity to change the intensity of the color, if that makes sense. Either of color OR icing. Thank you so much for sharing all your hard work! Much appreciated! I love love love your website! I may have missed it, but what kind of coloring do you use? Is it liquid or the bottled coloring you use for cake icing? I like Americolor best, with some of the Wilton gels mixed in. Some colors just aren’t the same! I was just wondering if you could help me. I have really struggled to find the right combination for a pitsachio green colour. Do you have any recommendations? Hi. I would really like to see a color mixing chart for producing Disney-esque shades, preferably with AmeriColor products. There just doesn’t seem to be any guidelines on the Internet for this. Hi ,, reading your share regarding color was a real heads up.Thanks for all the helpful hints. You stumped me when you referred to your cookie hay day, aren’t you in the cookie business?? I thought you were selling cookies also. Just wondering. I do love your posts and shares..I just ordered a Kopy Kake projector…Not sure I need it but I sure want it. Hope to have a lot of fun. Pingback: Two beautiful color charts for your icing obsession. | Baking & Nerdery. What color red is the red you use in gold? Thank you, Thank you so much for sharing so much of your wisdom and talent. 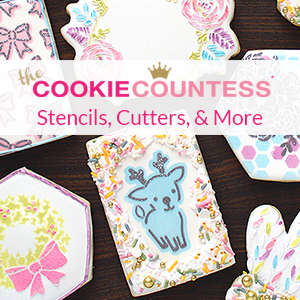 I have a little “cookie gig” getting a few projects/orders each month, and love the ideas and techniques you use and share. They are extremely helpful. I typically use the NFSC recipe but tonight I’m going to try your recipe and your coloring techniques. The color chart is wonderful, but when I print it using my awesome copy machine (at my office, dont judge me) the colors are way off! How do I print with accuracy? What is the trick? You have a nice site, congratulation. I would like which color is better for the sugar like sand? Thank you to help me with this. Thank you for this wonderful chart, I’ve been using it for years! To make lavender with Americolor gels, would I use soft pink or dark pink? This is a great chart. Can you tell me what brand of color gel you are using? Thank you so much for this! It’s exactly what I’ve been looking for. Now that I have the color combos, I’ve got another issue: I am having trouble getting my colors as intense as I want them. They are all very pale. I’m afraid to put too much color in because I’ve heard that too much color can make a bad taste. Can you give me a ratio? For instance, how much color would you put in one cup of icing to get the “teal” in the chart? Thank you, thank you, thank you! What would you mix to get the blue that’s on the cookie on the left (and in the bag) at the top of your printable chart? That is the perfect blue for what I need but it’s not listed as an option! do you know how to get steel blue frosting? I would mix a shade of blue…perhaps sky or royal with a touch of black or Progel gray. You can also try Wilton Delphinium blue. It may be close to what you’re looking for. Can you please tell me how I can get sapphire blue? I like to start with Americolor violet, and add royal blue or navy, depending on the depth I’m trying to achieve. If you own any of the Artisan Accents colors, I would also suggest mixing Americolor violet and Artisan Accents blue. The key is Americolor violet though!